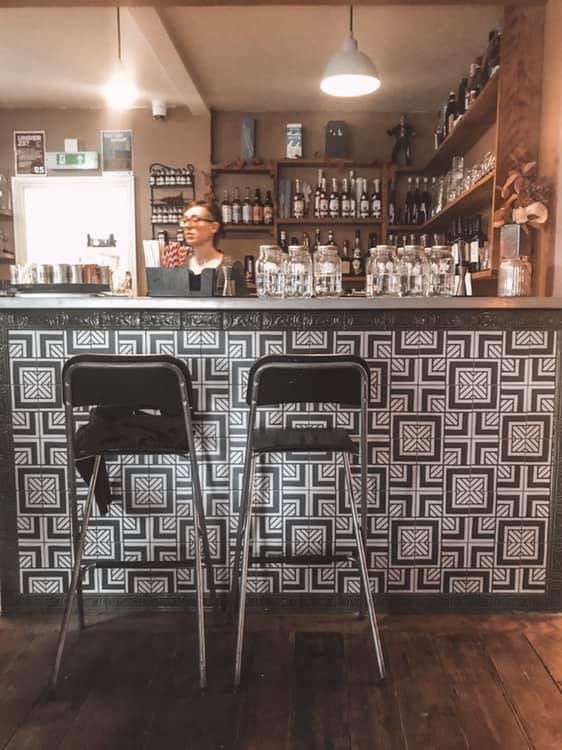 In fact, I’m suggesting you head to Redfield for a fabulous Infused Spirits workshop, one of the best for Gin tasting in Bristol, with none other than Espensen Spirit. Disclaimer: While I attended the Infused Spirits workshop complimentary, all opinions expressed here are my own. I endeavour to give you an accurate, truthful and honest review of my experience. I did not receive any money in exchange for this article. 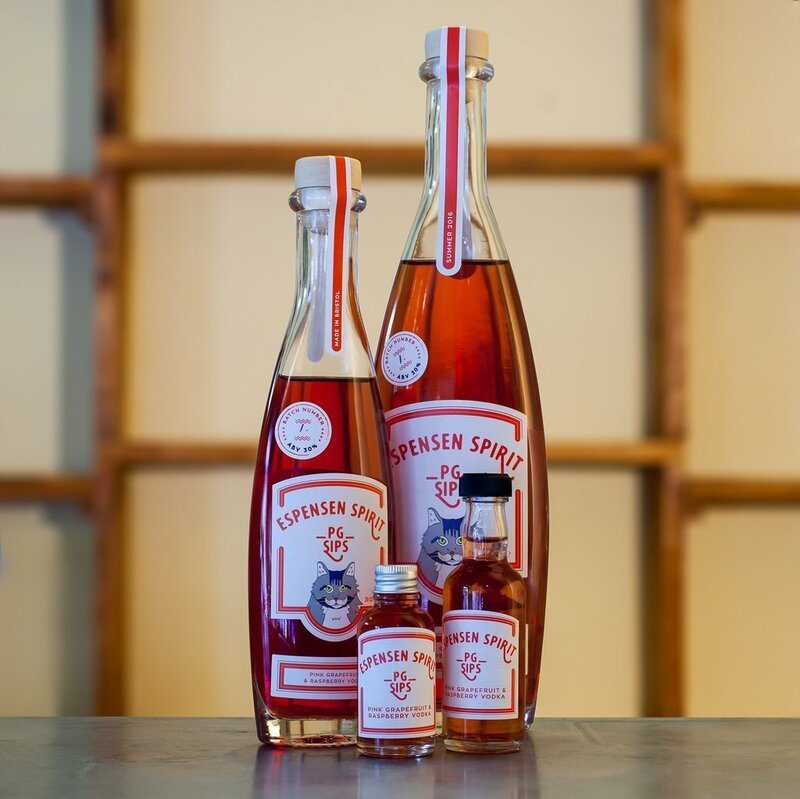 Female owned and run, Espensen Spirit is the official title for Sam Espensen’s delicious range of naturally infused vodkas, gins and whiskies. Everywhere you look there’s a piece of Sam embedded in the brand from the company logo, to the bottle branding and product range. In fact, the logo features their very own Sauspension Bridge – combining Sam’s love for Bristol and the unofficial mascot Sam’s Dachshund Shecky. 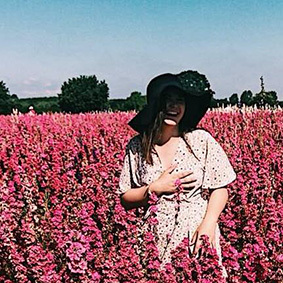 While Sam’s careful not to overshare her childhood plight, her ‘sob story’ (as she calls it) attributes to her current success, so it’s useful to understand what drives the brand. One of the things that really struck me about Sam, is that despite her life challenges she remains affable and understands the importance of giving back to both local charities and the environment. The Italian handmade glass bottles were intended for use as oil and vinegar jars, and Sam is keen to encourage the reusing of bottles whether as a vase or otherwise. The bottle seals are crafted from cellulose that will degrade faster than paper, and a % of bottle sales are donated to a number of charities in and around Bristol, namely Caring in Bristol. 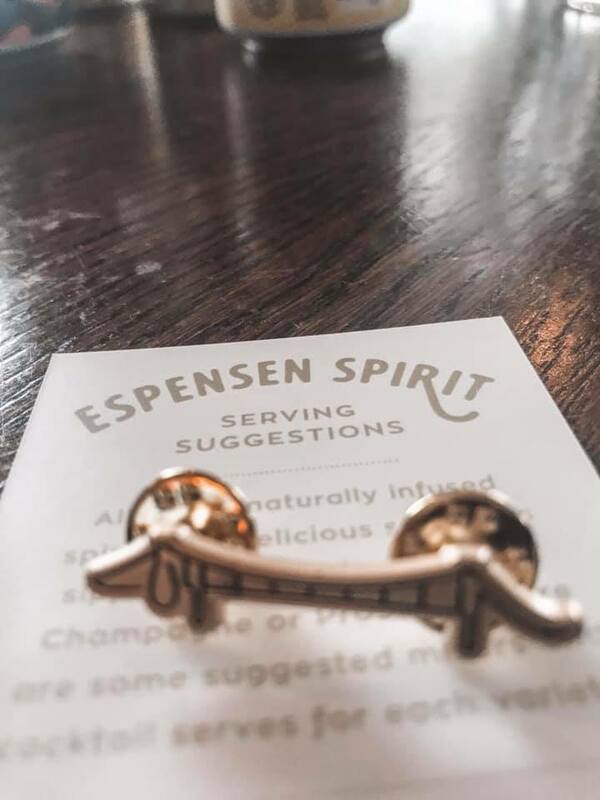 Espensen Spirits are infused using 250 year old copper steel distiller at its home in Redfield – the Bristol Spirit bar Kitchen. Not only are the spirits expertly crafted here, but the venue itself doubles as a bar with monthly events and pop ups given you cause to return again and again – if not for another plump up the jam Negroni! On entering the venue, you’ll immediately feel at ease with such quirky little touches around the place. 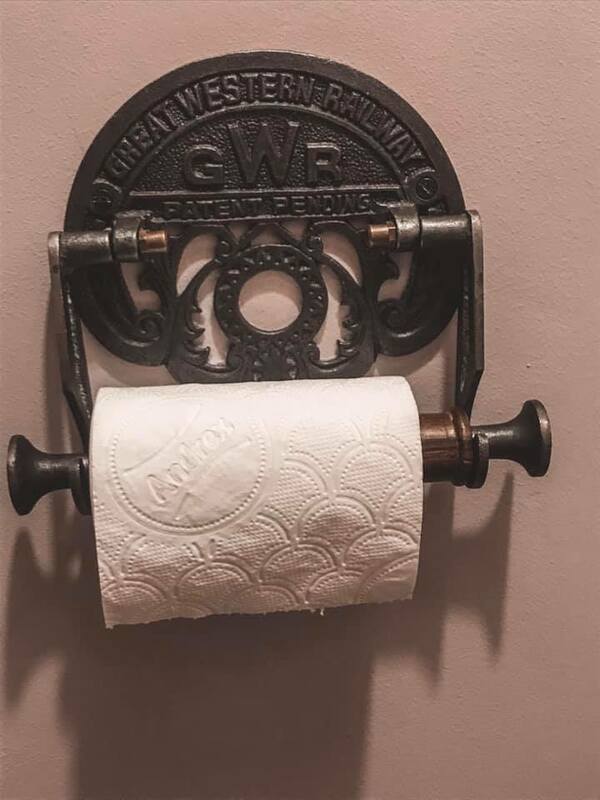 Be sure to notice the original Great Western Railway toilet roll holders in the ‘Whatever’ loos. Okay so let’s get to the good stuff – the booze! The first half of the two hour workshop involves a mini-tasting of Espensen Spirit’s favourite gins and vodkas. 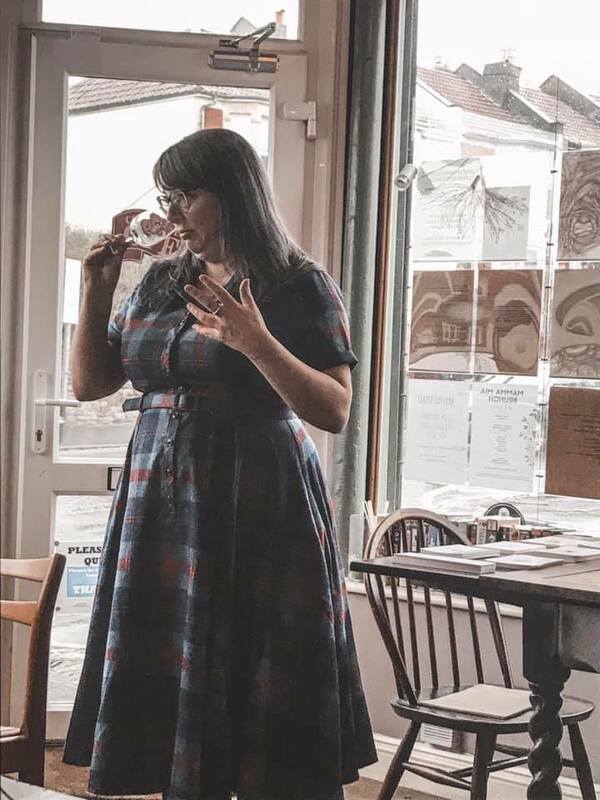 Sam will guide you through the correct way to taste test the spirits, how not to singe your nostril hair, why you shouldn’t freeze gins, why a true gin is 37.5% and the difference an ice cube makes to the flavour. All of the base gins are made using a multi-award winning and 200 year-old secret family recipe, distilled in a copper pot still. It has well balanced juniper with high citrus and spice, finishing with a sweetness from liquorice (don’t worry, you can’t taste the liquorice) . Infused with English blueberries, Gin Genie was the first spirit ever made with Dashchund Skecky making a second appearance on the bottle. 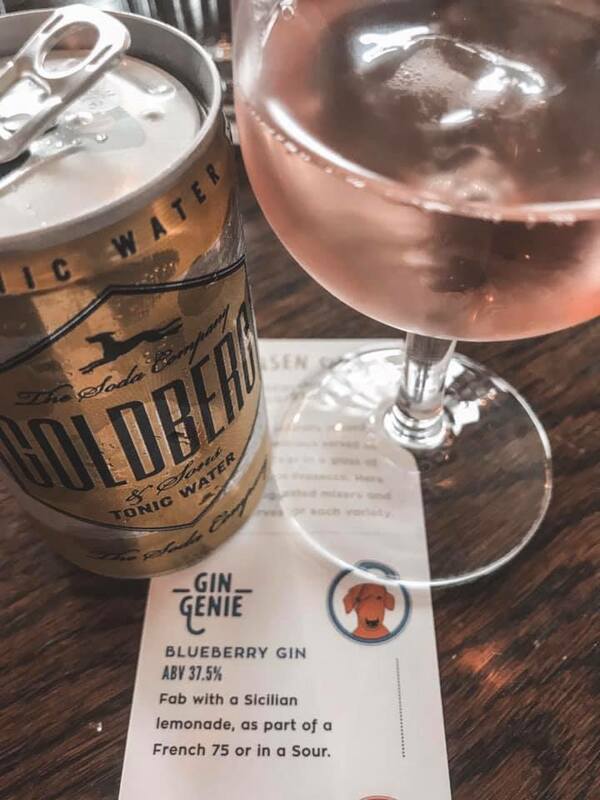 50p from every 50cl bottle, and 20p from every 20cl bottle of Gin Genie is donated to a local Bristol cancer charity. 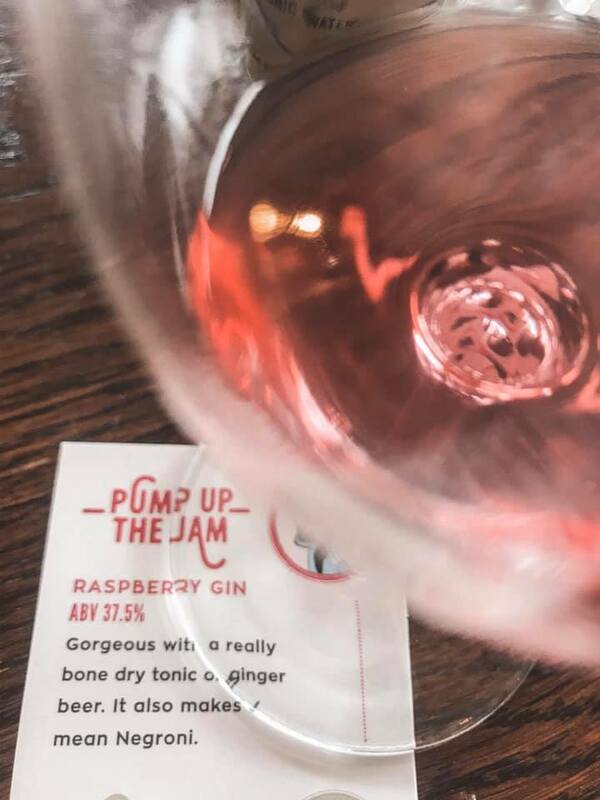 Made using British raspberries and a little bit of sugar, Pump up the Jam was crafted especially for those who don’t like gin. 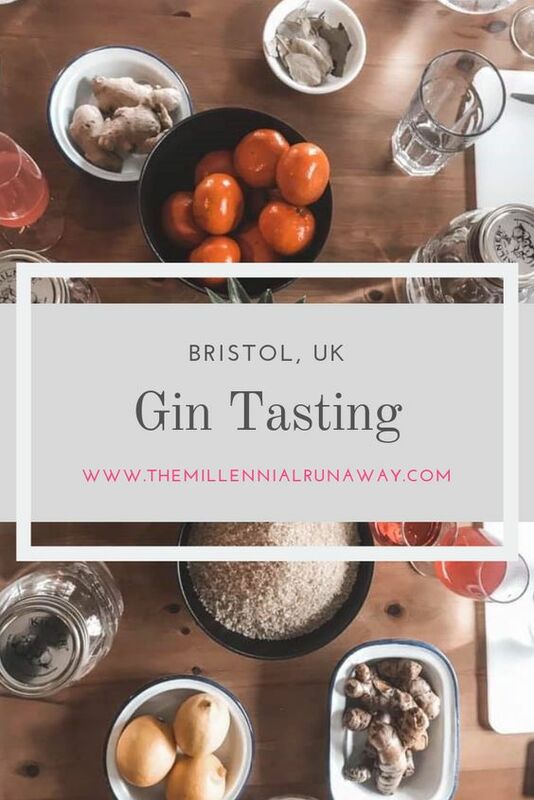 Bristol’s only pink gin is ‘summer in a glass’ and perfect with a mixer, as a sipping shot or within a negroni cocktail. 50p from every 50cl bottle and 20p from every 20cl bottle of Pump up the Jam will be donated to homeless charities in Bristol. 7.5% less strong than Gin, you can take a big sniff of the Vodkas without singing off your nose hairs. But really, the only way to taste test the vodkas is to do like the Russians do – neck it! 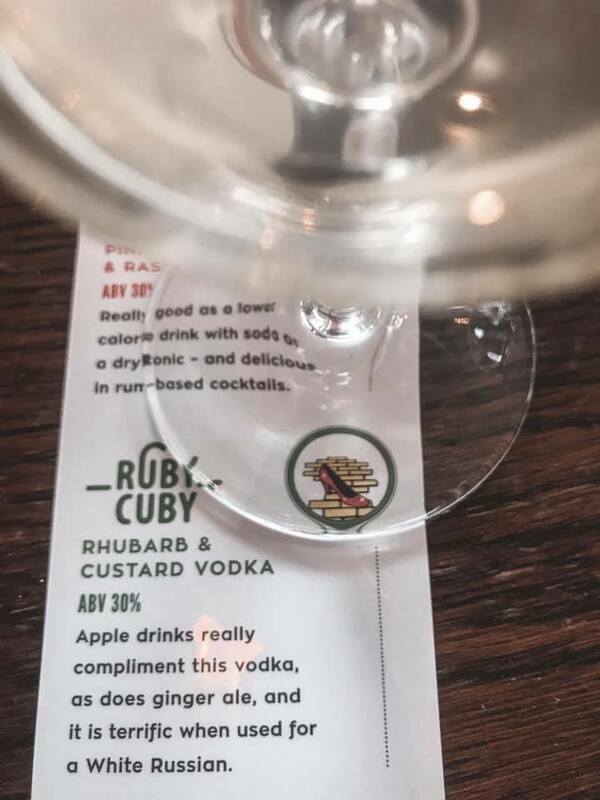 Ruby Cuby’s ingredients include British vodka, English Rhubarb and Madagascan vanilla. This recipe has been perfected over six years to allow the true flavour of the rhubarb to shine through without the need to add sugar. 50p from every 50cl bottle and 20p from every 20cl bottle of Ruby Cuby is donated to The Racehorse Rehoming Centre in Chard, where Sam’s aunty volunteers, and who give ex-racehorses a worthwhile future. PG Sips is made with pink grapefruit and raspberries, and is one of the first drinks that Sam Espensen ever made. It’s delicious drunk chilled and neat, and tastes fruity, fresh and tart. 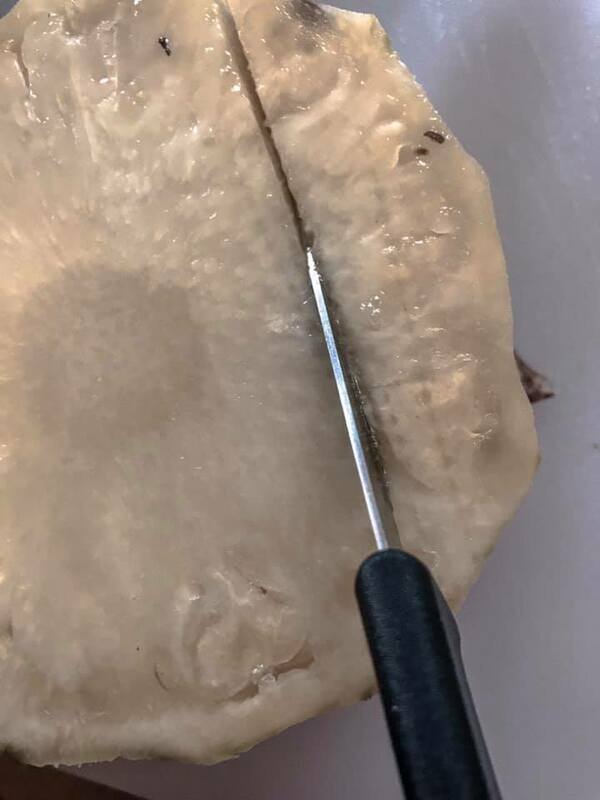 This is great as a low calorie option when paired with soda, or together with rum, champagne, prosecco or a cocktail for those a little braver. 50p from every 50cl bottle, and 20p from every 20cl bottle of PG Sips is donated to a South West animal sanctuary. It’s safe to say that by now, you’ll be feeling pretty merry. As Gin and Vodka connoisseurs, it’s time to infuse your own spirit! Choosing from either Gin or Vodka, a large Kilner jar half filled with the chosen spirit will be provided ready for infusing. 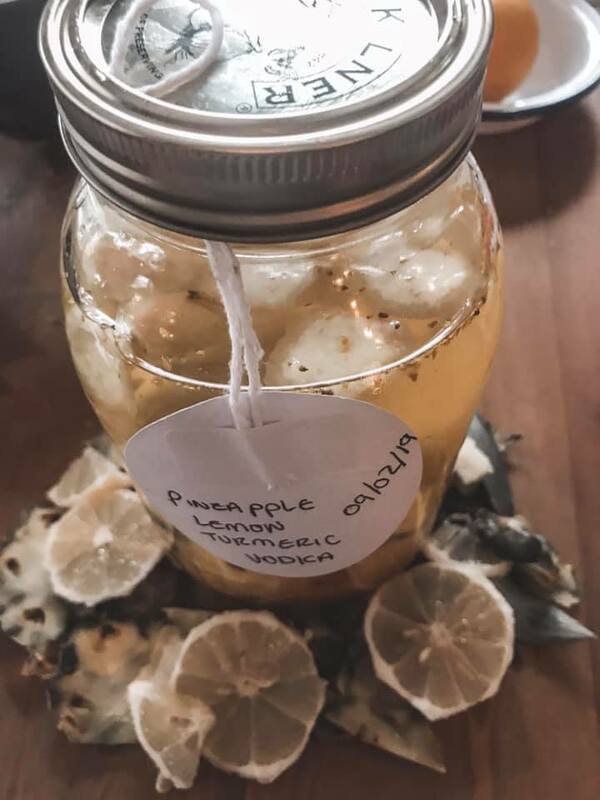 During our workshop the Gin-lovers created an infusion of Clementine bay and ginger gin, while the Vodka drinkers like me infused a pineapple, turmeric and lemon vodka. I opted for the latter and while you may illicit some concern over wielding a knife after a few, you’ll be fine! 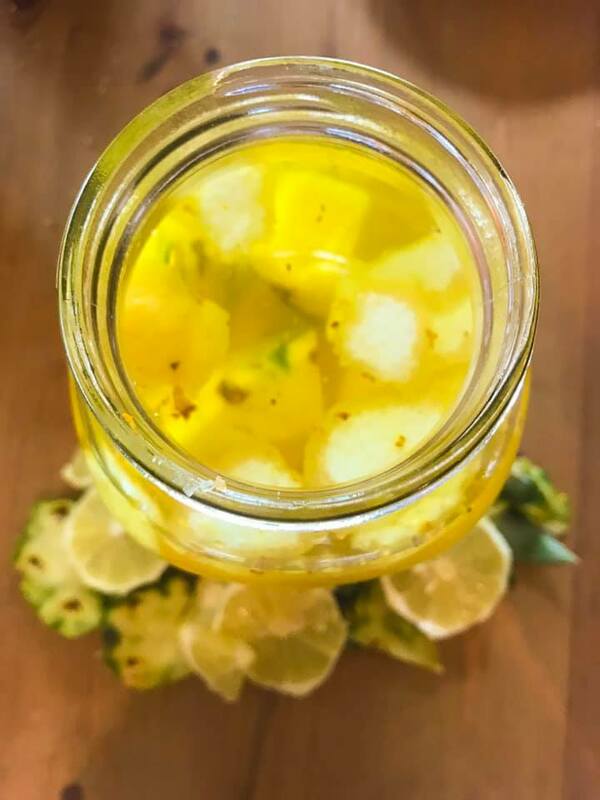 First, we cubed the pineapple and dropped this in to the kilner jar filled with vodka. Next we grated lemon peel and added to the mixture. 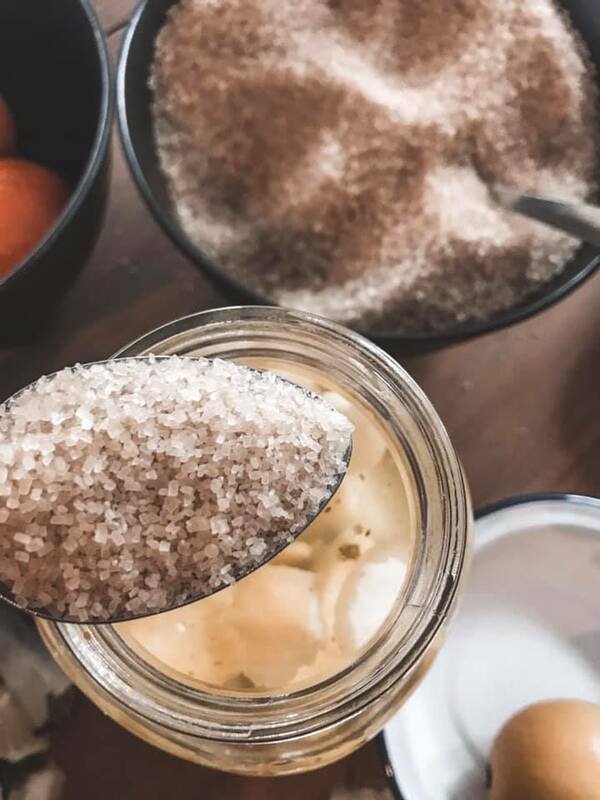 Then six spoons of sugar (less for the gin). There you have the successful beginnings of your very own infused vodka. You’ll leave the workshop feeling merrily pissed with a Kilner jar of lovely booze to finish off at home. Your instructions will be to shake the concoction every day for three weeks, taste testing as you go. 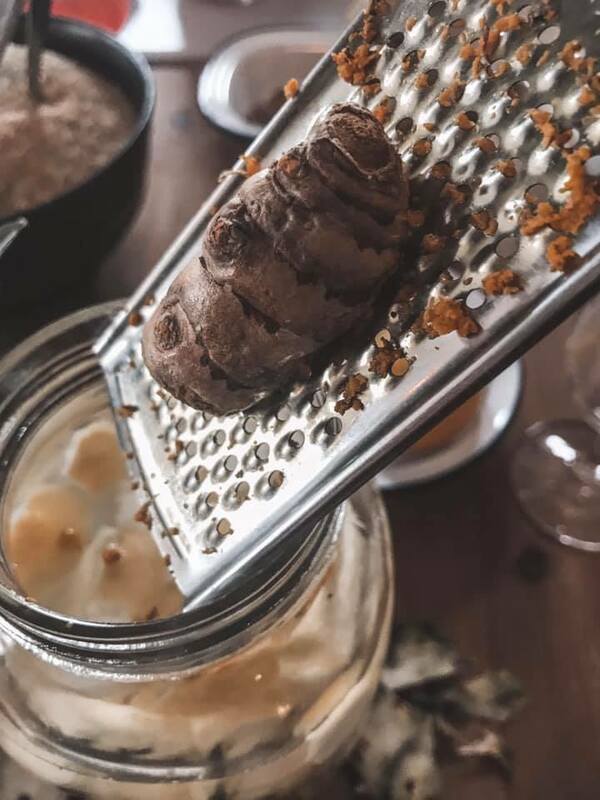 After three weeks, sieve out the infused vodka and serve up to friends and family like the expert crafter you are. 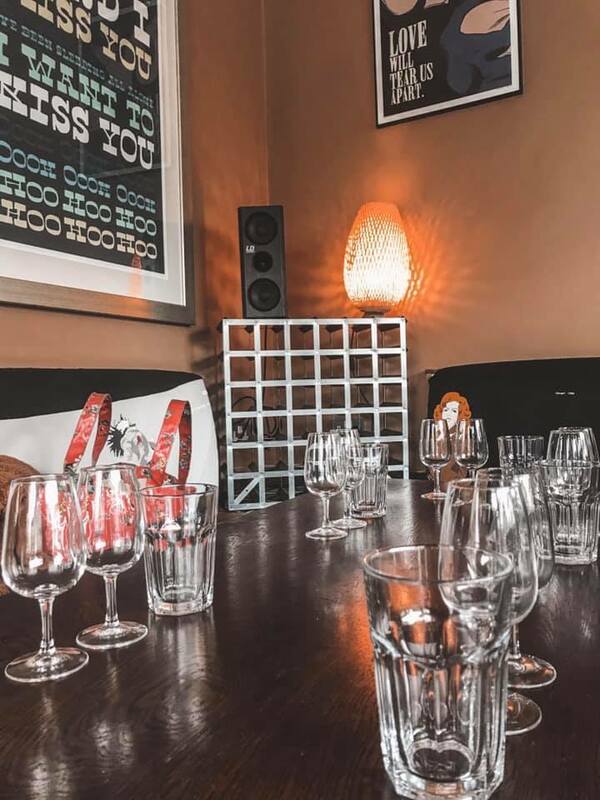 The workshops are available for birthdays, hen/stag dos, gin tastings and as speciality infused spirits workshops at £40 per person. All Espensen Spirits are incredibly versatile tasting great with a variety of mixers, added to prosecco, and used in a cocktail or enjoyed as a sipping shot. Bottles can be purchased online here or in store.